Influencer Marketing: What Is And How Can It Help You Sell More? During the last few years there has been a phenomenon that is imposed by: we refer to Influencer Marketing. But what is it exactly? Why is it so successful? And above all: how can you help your business? From all this and more we will speak in this article. Here we go! What is Influencer Marketing or Marketing Influencers? 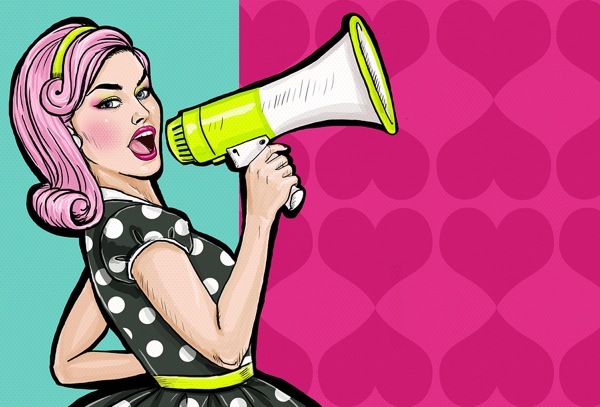 It is known as Influencer Marketing or Influencers Marketing to the promotion strategy used by brands, which is to take advantage of the charisma, influence and fame of a person to get your message or commercial proposal to your target audience (source: Entrepreneur .com). Through Influencer Marketing businesses choose a “spokesperson” to transmit their proposals to the audience. That “spokesperson” must be a popular and charismatic person, since the objective of this strategy is to take advantage of its capacity to influence people and in. We will then review the origin of this practice and its evolution to date, to better understand its essence and its potential. 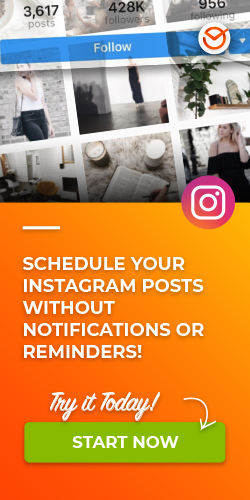 According to experts, the history of Influencer Marketing dates back to the late 1800’s, when companies began recruiting celebrities to promote products such as cigarettes or household goods to consumers. Among the most notable influencers of the time include the Queen and the Pope. In 1930 the Coca Cola brand brought this idea into practice in an unprecedented way. By then the company’s marketers understood that people are more connected with characters with which they can relate (fundamental concept of Influencer Marketing). 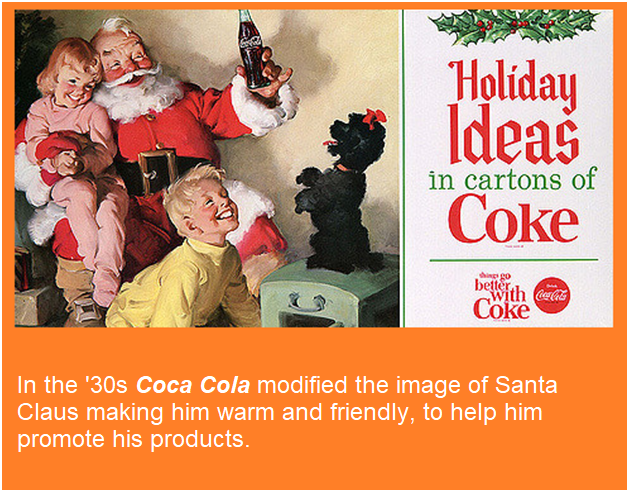 So, Coca Cola modified the image of Santa Claus (formerly strict and rigid) to make it a warm and friendly character, to help them promote their products. Then in the 50’s, it was the Marlboro brand that stood out by successfully resorting to a masculine model, which conveyed security and confidence. Since then, the stars of the Influencer Marketing became celebrities of the cinema and the TV, situation that was sustained during decades. To illustrate this point, in the following GIF you can see the character Joey from the series Friends (1994-2004), when he is hired as an influencer by a Japanese firm to sell a male lipstick. With the arrival of the Internet, the practice of Influencer Marketing gives a spin and is potentiated, mainly for three reasons. The first is that the Network makes it possible for anyone to be influential, as long as they have a sufficiently large audience. This enables affordable costs for businesses. By being economically viable, companies are starting to resort to this strategy, for example by hiring bloggers to help them promote their proposals. The second reason is the advent of User Generated Content, which means that we are all influencers to some extent. So, per Ex. Many brands turn to content created by their fans to promote their products (photos and videos using the goods traded are the most common types). The third reason for the boom in Influencer Marketing is the fact that nowadays any ordinary person can be an online celebrity. Consequently and as we said, anyone can be an influencer, as long as he has a good number of followers. This situation abounds in Social Networks, especially You Tube and Instagram, where the most popular users are hired by big firms to promote their proposals. 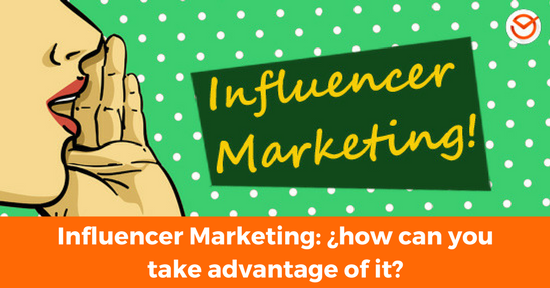 ¿Why Influencer Marketing is so Effective as Advertising Strategy? To explain the success of Influencer Marketing, we will begin by mentioning the psychological factor: people are much more likely to be influenced by those people they admire or love. By combining this fact with the qualities of Social Networks, an advertising message can as well be promoted very effectively. But there is more: in a world where every day is produced infinity of promotional content, it is very difficult for brands to stand out in that gigantic cloud of information. That’s why businesses find a great solution by turning to influential users to influence consumer behavior. 66% of people say they trust the opinions that other users publish in their social profiles. 94% of marketers who turned to Influencer Marketing believe that it is an effective strategy. Influencer Marketing is the fastest growing and most cost-effective channel (see source). Consumers are becoming immune to Traditional Advertising. In the environment of the Social Networks offers an exhibition to the marks of 24/7/365. 92% of consumers go to people they know to get referrals, before any other source. Customers gained through recommendations have a 37% higher retention rate. Businesses earn $ 6.50 for every dollar invested in Influencer Marketing. Now that you know the reasons why this Online Marketing Strategy is so effective, we will share with you two recent examples. As you will see, they are two common people, users of Social Networks, who due to their popularity and increasing amount of followers were contracted by big brands like Influencers. 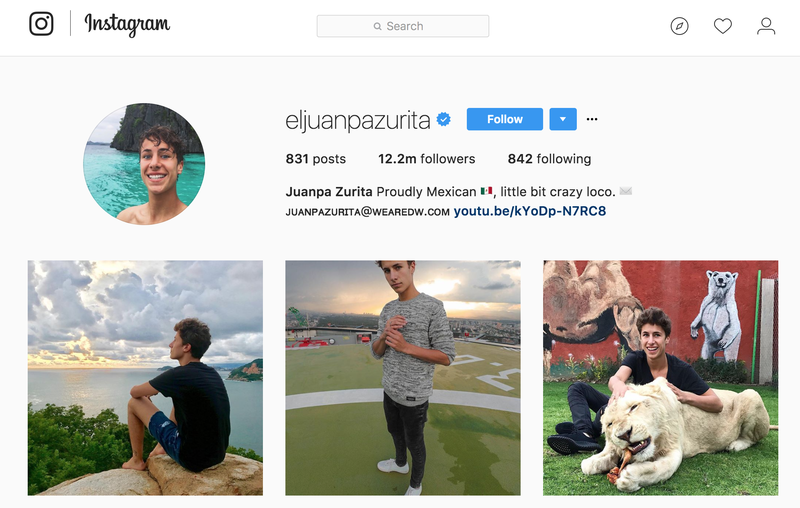 It is a young Mexican “you tuber” whose growing popularity is currently reported by more than 12 million followers. Among the brands that contacted him to take advantage of his reach among young people is Coca Cola. It made promotional videos for that brand with him. Take a look at his profile on Instagram. This Spanish girl of only 24 years has recently become a reference for many users. And is that Catalan already has more than 1.2 million “fans” in Social Networks. One of the brands that decided to take advantage of its great power of influence the firm of cosmetics Maybelline. Here you can see her Instagram account. How Can You Take Advantage of Influencer Marketing to Promote Your Brand and Multiply Your Sales? We have already seen what Influencer Marketing is; we know its history, the statistics that support its success and some examples of influencers. Now let’s move on to the practical part of this blog post: how can you take advantage of this strategy to benefit your own business? Increase the number of visitors to your website. Multiply the number of followers of the social accounts of your brand. Increase the number of visits to your online store. Promote the use of your products or services. 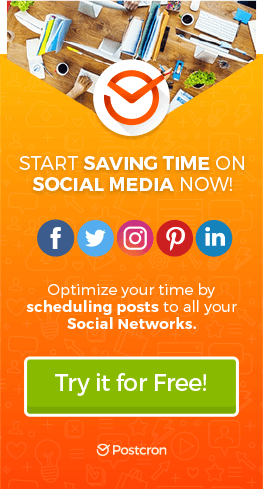 Promote visits to your business. Promote the identity of your brand. It is not necessary to address the most famous influencers to find a cost-effective option for your brand. According to the magnitude and scope of your business, you can get to the task of locating the most influential users of your city, through the different Social Networks and taking advantage of the search filters. E.g. In Instagram you can do research, defining hashtags related to your commercial proposal (e.g. “#furniture”) and doing a filtered search by location. Then identify which are the most popular photos and videos for each hash tag to find the user of your city more convenient for your brand. Personality: decide if you need an informant, an authority, an activist, etc. To promote your campaign or your products. Scope: You can choose one or two, including travel, fashion, technology, marketing, etc.. Topics: Choose a topic that your ideal influencer addresses from time to time in your Social Networks or your Blog. This will be the justification when arguing why you chose it for your brand. Range Type: According to your objectives you can choose the best influencer. You should ask yourself questions like: Do you want to make a visual content campaign or do you prefer to blogging? Which Social Network would be the most appropriate to promote your proposals? Do you want to increase your popularity in Social Media or increase your web traffic? What is the most “strong” social network of each influencer? To help you find the perfect Influencer, there are some very practical tools. One of them is Social Mention, which allows you to enter the name of your company or brand to discover all the mentions made by users in the different Social Networks (Twitter, YouTube, Facebook, etc.). You can also take advantage of Google Alerts. 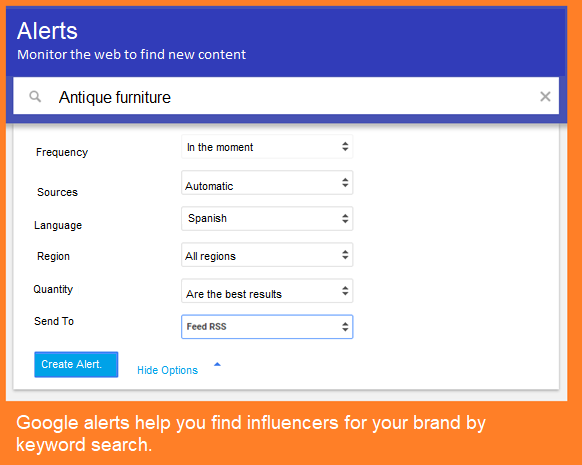 It is about defining a series of keywords linked to your brand or business about which you want to receive alerts (e.g. the name of your business). That way you can find posts and articles that mention your brand and contact their authors. Ask your influencer to generate content using your products (photos, videos, articles, etc.). Take advantage of the special dates of the year (Christmas, Valentine’s Day, etc.) to suggest your influencer to generate videos, photos, live broadcasts, articles or podcasts allusive. Send your new products to your influencer to do demonstrations or live tests. Create a calendar of publications to guide your influencer in generating content. To conclude this blog post, we can say that Influencer Marketing is a centennial strategy whose success has been on the rise, until reaching the boom it enjoys today. And due to its characteristics and advantages, we strongly recommend implementing it with your brand or business. Then you tell us! The E-commerce Industry of Fashion: How to Take Advantage of Social Networks? Did you like this blog post? Did you already know about Influencer Marketing? Do you think it is an effective technique? Tell us your opinion! And please remember to share this article with your contacts. Until next time!